Jawaharlal Institute of Postgraduate Medical Education and Research JIPMER, Puducherry is among the top medical colleges of India. It is one of the oldest medical colleges in India which is located in the union territory of Puducherry. 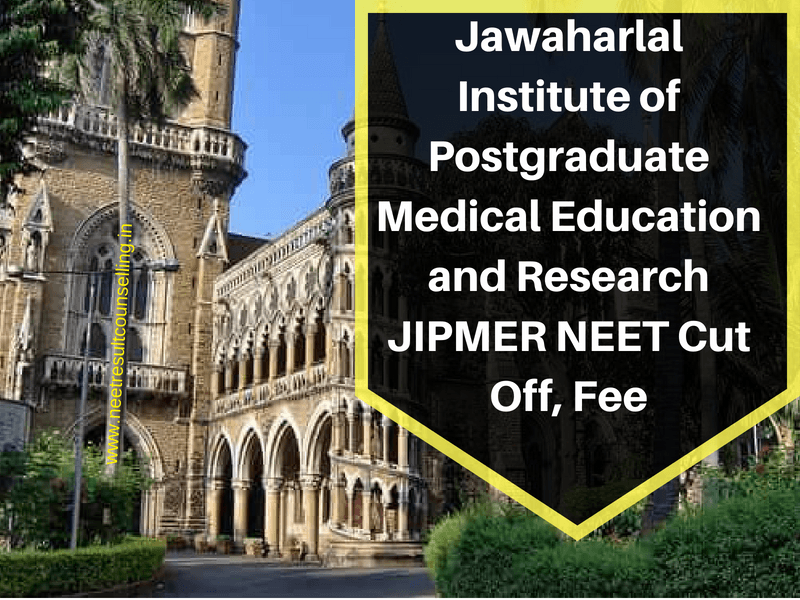 Founded in 1823 JIPMER is a government-funded autonomous education institute and hospital. It is managed by Ministry of Health and Family Welfare, Government of India. It was ranked 5th among the list of medical colleges in India by ‘The Week’ and 6th by the ‘Outlook India’ in 2017. In this article, medical aspirants will get all the necessary information related to JIPMER, Puducherry. It includes information about the courses offered here, intake, the fee structure of all the course, cut off marks etc. JIPMER, 2018 cut off marks will be released in the month of June 2018. Cut off marks are the minimum marks a candidate needs to crack/ qualify an exam. Total number of seats available in two campuses of JIPMER. It is difficult to predict the cut marks of JIPMER MBBS for the year 2018 as it depends on several factors and required data is not available. Once the exam will be conducted the expected cut off marks will be updated here. JIPMER MBBS 2018 cut off marks will be released in the month of June. Admission in JIPMER is usually done on the basis of entrance exams for all the courses. For admission in MBBS candidates have to qualify JIMPER, MBBS entrance exam. Jawaharlal Institute of Postgraduate Medical Education and Research MBBS exam for 2018 will be conducted on 3rd June 2018. Similarly, admission in other courses is also granted on the basis JIPMER entrance test.